Memes are so common today that they’re practically inescapable – and when one becomes popular, it spreads through the internet like wildfire. It’s easy to see why; there’s not much to dislike about memes. They make you laugh, they lighten up serious topics, you can share them with your friends, and the list goes on. However, did you ever stop to think, “are memes copyrighted?” If they are, who owns them and how is ownership determined? 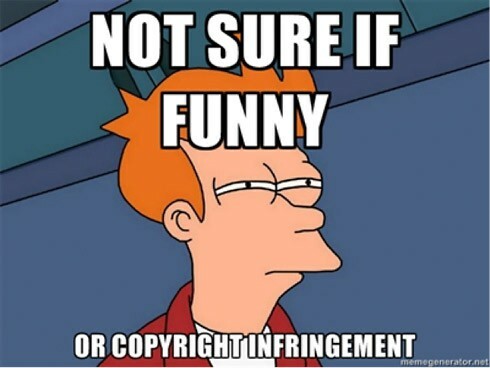 As it turns out, the topic of meme copyright law is not so black and white. Are Memes Considered Quotes, Parodies, Art, or Something Else? Do Meme Creators Run the Risk of Copyright Infringement? Article 13: Is This the End of the Free Internet as We Know It? Are Upload Filters the Best Solution? 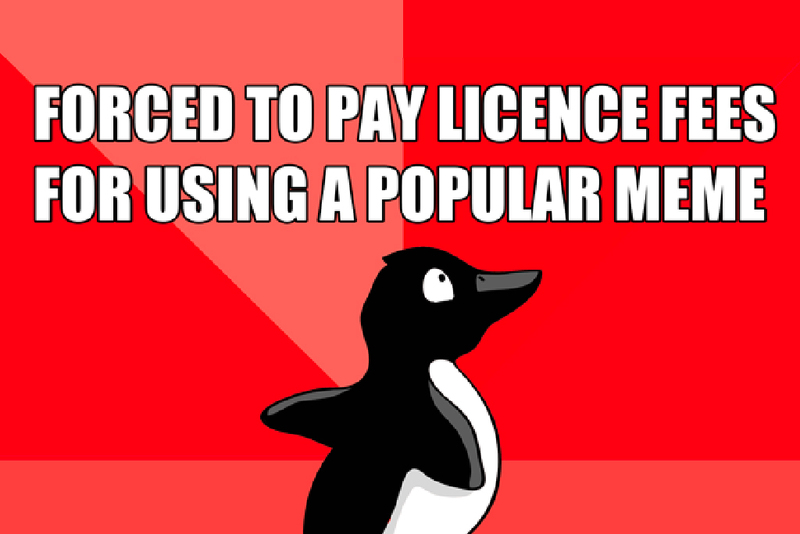 What Does the New Copyright Law Mean for Memes? What Should I Be Aware of When I Share a Meme? Memes come in many forms, including photos, illustrations, or short image sequences from movies (i.e. GIFs). Most memes are made with the intent to make you laugh, bring attention to a topic, or simply to cause confusion. These small snippets generally emerge as anonymously created pieces of content. If the internet grows fond of a particular meme, it can have unbelievable viral potential due to the way memes are shared and reproduced socioculturally. Nowadays memes are shared on most social platforms, however in their earlier years, memes were generally only found on sites like 9gag and 4Chan. The mass appeal memes have on social platforms makes it easy for popular memes to reach audiences of millions. In fact, memes have become so mainstream that it is not uncommon to see large companies leveraging the high recognition value and shareable nature of memes in an attempt to connect with their audiences. Memes come in many forms, including photos, illustrations, or short image sequences from movies (i.e. GIFs). Most memes are made with the intent to make you laugh, bring attention to a topic, or simply to cause confusion. These small snippets generally emerge as anonymously created pieces of content. If the internet grows fond of a particular meme, it can have unbelievable viral potential because of the way memes are shared and reproduced socioculturally. Nowadays memes are shared on most social platforms, however in their earlier years, memes were generally only found on sites like 9gag and 4Chan. The mass appeal memes have on social platforms makes it easy for popular memes to reach audiences of millions. In fact, memes have become so mainstream that it is common to see even large companies leveraging the high recognition value and shareable nature of memes in an attempt to connect with their audiences. 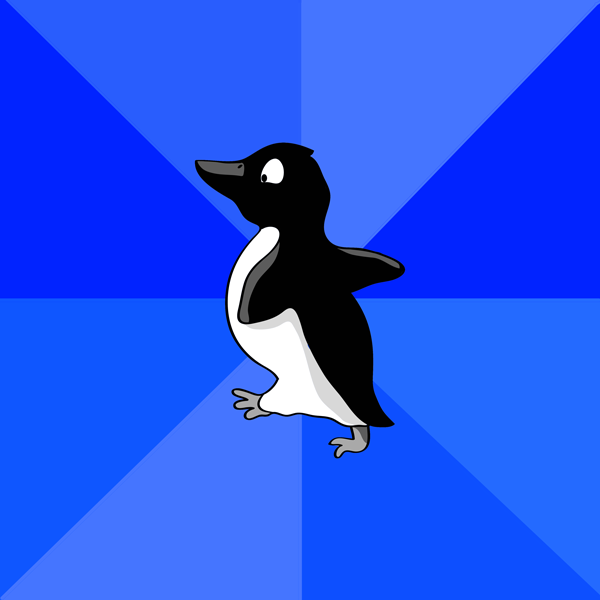 The meme “Socially Awkward Penguin” (left) in comparison with the original image (right). Photo: George F. Mobley / Getty Images. It is almost certain that if you’ve used the internet in the past five years, you’ve probably seen your fair share of memes. At the same time, it is often the case that the origins of a meme are completely unknown. Moreover, of the people creating and using memes, very few of them stop to think about the potential legal risk accompanied with posting and sharing memes online. 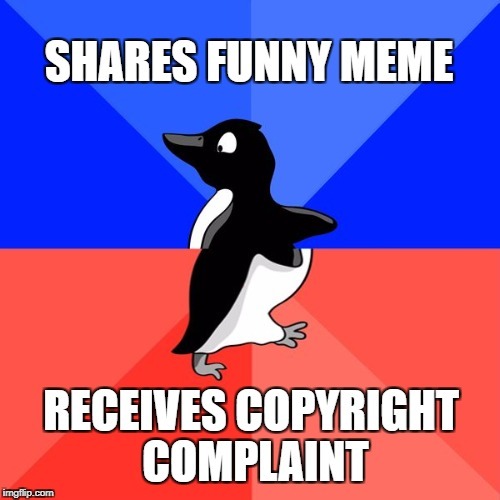 In 2015, there was a major breakthrough in the topic of meme copyrights when information surfaced that the original photo of the “Awkward” Adelie penguin that had gained so much recognition online actually belonged to National Geographic photographer George F. Mobley. This information came to the dismay of the blog Geeksisters when Getty Images demanded a payment of €785.40 for the illegal use of the image. According to Getty Images, they had acquired the rights to the original photo a few years prior to when Geeksisters posted it on their blog. This case raises many questions: Was what Getty Images did right? Had the blog operators really committed a copyright violation? The question on everyone’s mind, however, was “Could I face the same fate if I have a good idea for a meme and publish it?” We’ll take a closer look into questions like these in the following sections. A general rule to adhere to in the world of image copyrights is that if an author doesn’t put their image under a Creative Commons license or in the public domain, then that image is protected by copyright law. In theory, memes are also included under this protection. The situation becomes more complicated when the question of whether or not there are exceptions to this rule are raised, such as when the author of a meme is unknown. In some countries there is actually some leverage favoring the creation of memes. 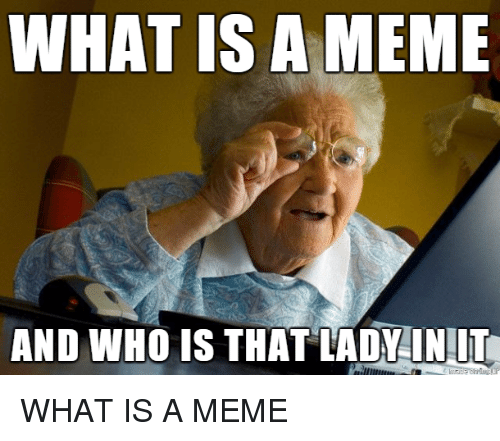 Under German copyright law, for example, meme creators can claim the right of quotation, the intent of parody, or the right of artistic freedom. While these defenses haven’t proven to be be very successful in the past, they do add an interesting argument in the debate about whether meme creation is copyright infringement or not. Let’s start with the right of quotation; in this case, the original image in question is necessary in order to support the argument that a created work is in fact a quotation of the original. Moreover, an image can only be justified as a quotation if it plays a minor role in a created work. Memes, however, very rarely play a minor role in a created work. In fact, memes are often the opposite, as the image usually plays a major role, and therefore would not be legitimized under right of quotation. Another defense that can be cited in some countries is the intent of parody. Under German law, for example, parodies are permitted as a form of free use (§24 Copyright Law). Under intent of parody, a new creation must be recognizable as a work of its own and therefore must reach a certain threshold of originality. What about the topic of artistic freedom? Whether memes themselves are art is a highly debated topic with the decision often resulting in the opinion that memes themselves do not constitute as art. Another possible defense that falls under §24 of German Copyright Law is the right of “free use”. In this case, the original image must be modified to the point that it is no longer recognizable. As memes mainly live off the recognition of the original images however, this attempt at legitimization falls short. With such flimsy defenses in favor of legitimate meme creation, copyright law often comes out triumphant and can be legally applied if necessary. If copyright law applies to memes, then aren’t all the people creating and sharing memes daily also guilty of copyright infringement? As it turns out, not exactly. When it comes to memes found on forums and other community platforms, the creator of a single meme is often completely unknown. In addition, a plethora of meme generators on the internet allow anyone to create memes themselves in an instant. The sheer number of memes generated daily, coupled with the anonymous nature of a user identities on forums, makes it nearly impossible to formally issue a copyright infringement warning notice. Although there are many arguments stating that memes are classified as a copyright violation, actual instances of meme copyright violations being prosecuted in court have been few and far between up until this point. This has left the situation in a legal gray area with much of the specifics about how memes are handled under copyright law remaining unclear. What is clear, however, is that disputes over copyright law are resolved with warnings and licensing fees more often than they are resolved in court. The only way to completely ensure that you are not at risk of being prosecuted for image copyright infringement is to refrain from using memes on websites and blogs entirely. If not, you run the risk of a warning similar to the Geeksister bloggers who used the copyrighted “Socially Awkward Penguin”. Photographers/videographers of the original source of a meme must also be careful. If a person is the focus of a meme and hasn’t consented to the use of their image, it can be considered a violation of their personal rights. A famous example of this is the infamous “Techno Viking”, who was filmed by artist Matthias Fritsch at “Fuckparade” in 2000 carrying out a unique techno dance. The video of the half-naked bearded man has already made its rounds on the web and has been the focal point of countless internet memes. The videographer who captured the moment even used the viral success of the video to sell t-shirts and mugs with the photo of the “Techno Viking” himself printed on them. Some years later, “Techno Viking” finally came forward and issued a cease and desist letter along with the demand that compensation be paid out for the violation of his personal rights. Now, anyone who uses Matthias Fritsch’s “Techno Viking” image to create a meme is infringing on both a copyright and someone’s personal rights. 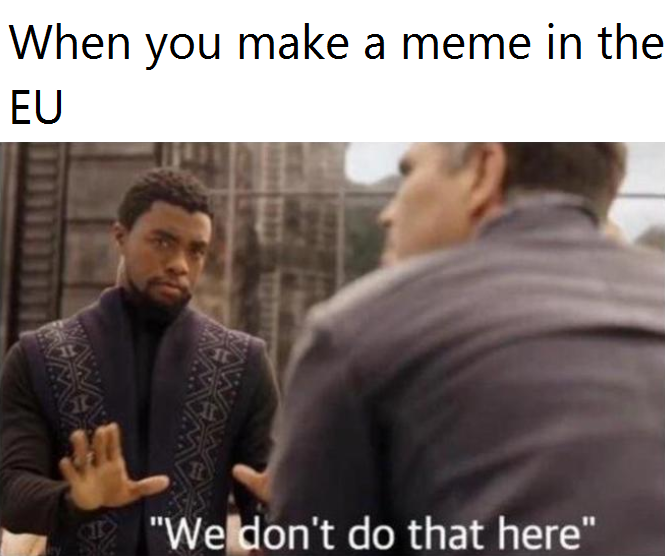 Therefore, anyone who uses stills from a film in order to generate a meme from it must also consider copyrights, and if a person is the focal point, personal rights must also be considered. Goodbye, free Internet: on September 12th, 2018, the EU Parliament voted for Article 13 on Copyright. According to the reform, the copyrights of musicians and artists should be protected, and YouTube, Google, Facebook, and the like will be held liable for the content published on their platforms. This is, in and of itself, not a bad approach; EU Copyright from 2001 was in need of an updated in order to better protect authors. The question of how regulations should be implemented, however, are still the focus of debate. Article 13 of the regulation states that platform operators with user-generated content should be liable for copyright violations. They must therefore make sure that license-bound content is not uploaded in the first place. To do that, platforms like Facebook and YouTube would have to implement technical upload filters that check every upload for possible copyright violations. There is, however, an exception to this regulation; platforms are exempted from liability if they are less than three years old, make under €10 million in revenue, or have fewer than 5 million visitors per month. ► For memes and GIFs, Article 13 also provides an exemption clause: For the small snippets, copyright material may thus continue to be used license-free. The implementation of upload filters would mean that it will no longer be people who decide what content gets published to the internet going forward, but rather programs. 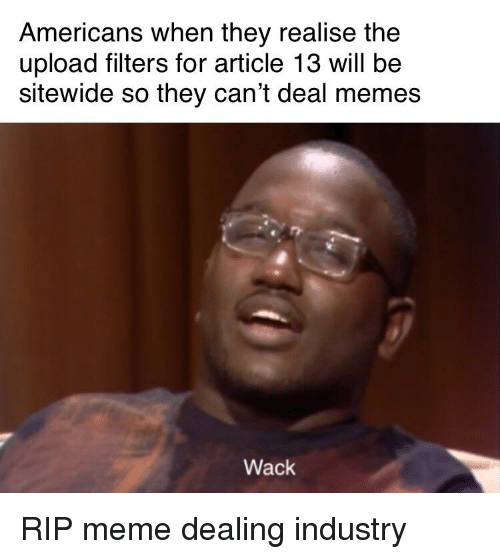 Upload filters could also intercept images that, while based on copyrighted works, are not copyrighted – such as memes, GIFs, and other forms of satire. Upload filters would not only result in the endangerment of digital remix and meme culture, but would also pose a threat to Wikipedia and other non-commercial information portals and archives as well. In order to minimize legal risks, a lot of content would inevitably end up being blocked. Article 13, in its current arrangement, would greatly restrict freedom and creativity on the internet. One solution that could quell the issue would be to implement a Europe-wide, consistently allowed right to remix, instead of establishing an infrastructure of censorship with upload filters and charging for links. This way, users would have more freedoms and less concern for receiving a warning. This would also shift financial liability to those who make money from the content, i.e. commercial or ad-financed platforms. If the decision is finalized by the EU Parliament, even non-profit sites like Wikipedia will be forced to limit their services. Uploading memes could become more difficult, but the generation, use, and spread of memes may still continue to be allowed. That would be good, since sharing links, uploading images and videos, and letting creativity run wild with GIFs and memes has become commonplace in today’s digital era. ► Assumedly, the concern over giving warnings for spreading links and memes will be eased. The new legislation implies that, moving forward, the platforms on which content is shared will decide what is allowed and what is not. As a result, these companies will get more influence. Just to be clear, while memes could remain license-free through the exception of the regulation, they are still a delicate legal topic. In regard to commercial use, they should only be created and used if an agreement with the depicted person and the photographer of the original image has been reached. If the image is in the public domain or it is licensed under the appropriate Creative Commons license, as is the case with the new “Socially Awkward Penguin”, that would qualify an image for use and modification as well. It goes without saying that the internet would not be what it is today without the humorous memes we’ve grown to know and love. While German law does not grant meme creators much legal freedom to create memes, the anonymous nature of the web means that it is also not common for meme creators to be prosecuted for copyright infringement by creating memes. You can rest assured knowing that an end to memes in the near future seems unlikely, as it is probably not a high priority topic for the legal system to tackle just yet. That being said, at Copytrack we advise against the editing and subsequent publication of memes on one’s own commercial platform. Although the chances of you receiving a wave of warnings are slim, the following still applies: if you are unsure whether or not an image is in the public domain, licensed under the appropriate Creative Commons license, or otherwise usable, you run the risk of being liable for the material you’ve published (as the bloggers from Geeksisters found out). While it probably won’t land you in jail, it could leave you with a hefty fine to pay.